I learned about Kowsilla, also known as Alice, while researching Guyana’s history (1950 to 1970) for my first novel, Under the Tamarind Tree. 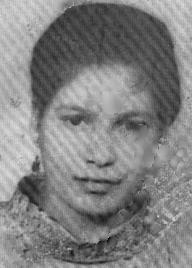 Her involvement in the sugar workers’ struggle for better working and living conditions and her final act of courage on 6 March 1964 at Plantation Leonora made an enduring impression on me. Leonora, located on the West Coast Demerara, got its name from two Dutch children, Leo and Nora, during the days of Dutch occupation before the British took control of the colony in 1786. On 6 March 1964 during a general sugar workers strike, Kowsilla was among the men and women who formed a human barricade by squatting on the bridge leading to Leonora’s factory gate. In so doing, they prevented African scabs, hired by the factory manager, from entering the factory to work. Following instructions from the factory manager, an African scab set out in a tractor to disperse the squatters. The details of what happened next are lost in time. Several squatters jumped off the bridge into the punt trench. Fourteen of them were severely injured. Based on the severity of their injuries, Kowsilla and two other women – Jagdai and Daisy Sookram – defied the onslaught. Kowsilla’s body was severed in two. Jagdai and Daisy suffered broken spines. Kowsilla died on the way to the Georgetown Public Hospital. Jagdai and Daisy survived but remained crippled for life. We know little about Kowsilla. Born in 1920 in Seafield, Leonora, of poor, hard working parents, she bore four children and worked as a huckster to provide for them. An activist for improving the lives of women within her community, she became Leonora’s leader of the Women’s Progressive Organization (WPO), formed in 1953 by the wife of Dr. Cheddi Jagan – Premier of British Guiana (1961-1964) and President of Guyana (1992-1997). Forty-four-year-old Kowsilla must have known the danger of defying the sugar plantation owners when she left home that Friday morning in March 1964. As leader of the WPO in Leonora, she must have stood up in the center forefront on hearing and seeing the tractor approach. What went through her mind as she faced the African scab worker at the wheel of the tractor? East Indian and African workers were both pawns in the hands of the sugar barons. In defying the corporate powers of her time, Kowsilla made the ultimate sacrifice in giving her life. In choosing not to yield, she taught us not to let fear trap us in a life of corporate servitude. Freedom from greed and tyranny requires sacrifice. Reblogged this on Guyanese Online. Cyril, thanks for reading and sharing my post with your followers on Guyanese Online. Lalita, what a wonderful surprise to be in contact with someone who personally knew Kowsilla, one of the heroes of Guyana’s struggle for self-determination! I’ll contact you by email for more info about your Aunt Kowsilla. It’s sad and tragic that Kowsilla had to lose her life by bravely standing up for what she believed in and was callously mowed down with a tractor. The story depicted the courage and defiance Kowsilla showed in the midst of terrifying conflict. Rosaliene, thanks for sharing and good luck with your book.. Thanks for reading my post, Deen, and sharing your thoughts about Kowsilla. Thanks, too, for your good wishes. I’ve completed my novel. It’s now in the hands of a copy-editor. The glaring omission here is the fate of the tractor’s driver. Was he ever held accountable for his actions? Laurens, thanks for raising this issue. In my 500-word article, I decided to focus on Kowsilla. The African scab, Felix Barr, was acquitted by a jury for Kowsilla’s death. I came across no other information regarding charges for injuries inflicted on the other workers. No doubt, he was protected by the white plantation owners who ordered the attack. As I see it, if Felix Barr had been punished for his involvement in the crime, no other worker or scab would be willing to risk their lives to do their masters’ bidding. As I mentioned in my article, both Africans and East Indians were pawns to the white sugar barons. Excellent post, Rose, and reminder to all people of those who sacrifice for dignity and justice. Thanks, Angela. We oftentimes take our rights and freedom for granted. Parvati, forgive me for my delay in responding to your comments. Until today, when I read the post on the Mark Jacobs blog about Asif Rahim’s death, I had no idea about recent police brutality in Leonora. I stand with you and the Leonora community in protesting police brutality.